When a Fatima Boy achieves, he rocks the world!! 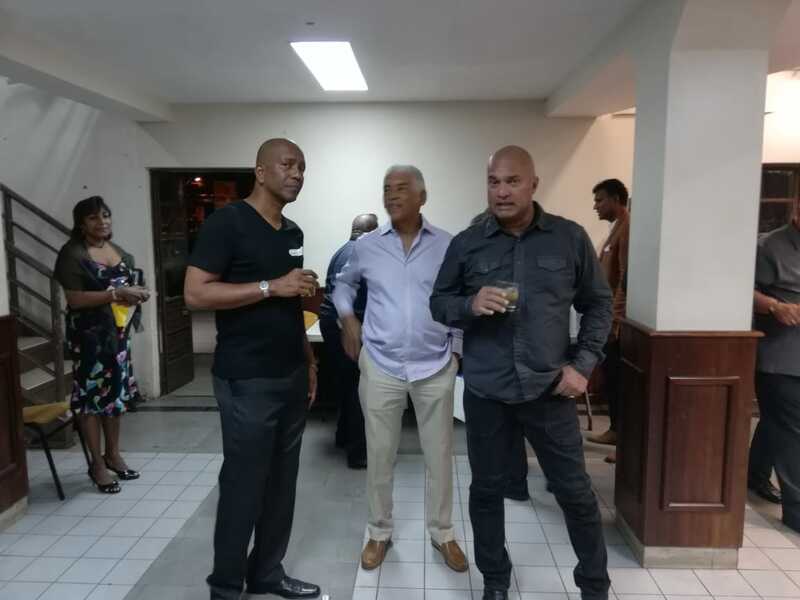 FOBA celebrated its 50th Anniversary by launching it’s long awaited Hall of Achievement at a grand ceremony and dinner at the Anchorage, Chaguaramas on Wednesday 18th November 2015. At this ceremony, the inaugural individuals were inducted into the Hall of Achievement. It is FOBA’s intention to induct a further 10 (ten) persons every 2 (two) years moving forward. 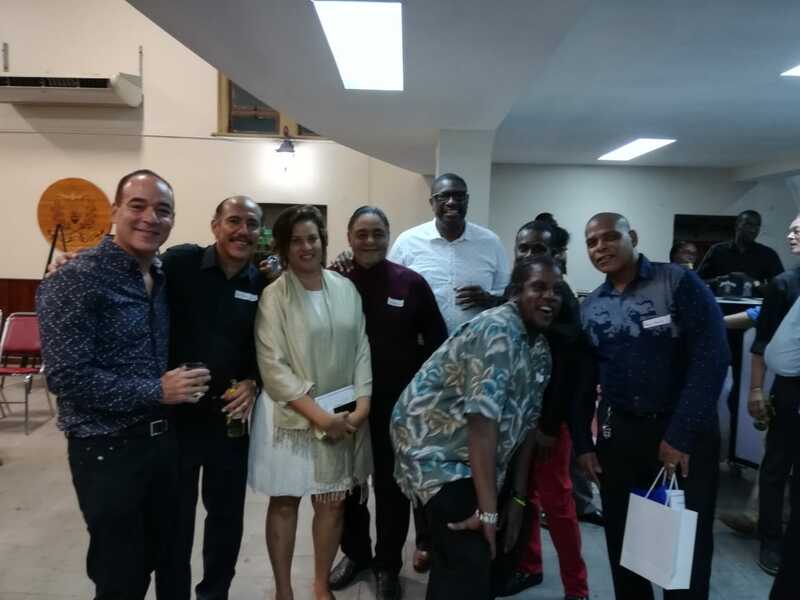 Whilst this first induction was done primarily by the management of the Fatima Old Boys’ Association in conjunction with the current Principal Fr. Gregory Augustine, our future endeavors will be more participatory in nature and guided by the past students. The baseline criteria for consideration will be published, and nominations will be invited for the induction class of 2017. Fr. 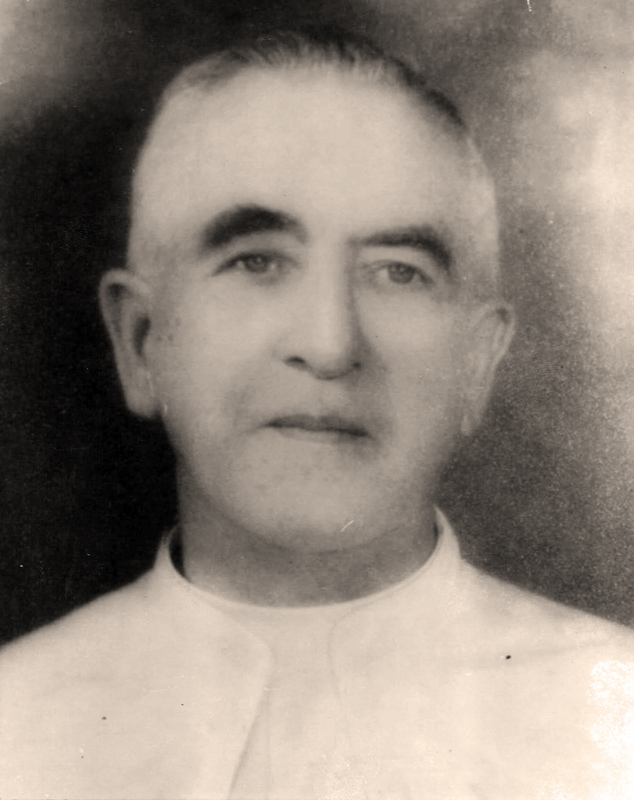 John Edward Byrne, C.S.Sp., the founding Principal of Fatima College, was born in 1898 in Ireland. After ordination to the priesthood in 1927, he came to Trinidad and taught at St. Mary’s College for 17 years. From 1946 to 1955 he was the first Principal of Fatima College, and was responsible for acquiring the land and for supervising the erection of the initial buildings. This included all classrooms, laboratories for a five-year school, the chapel and the auditorium. Fr. 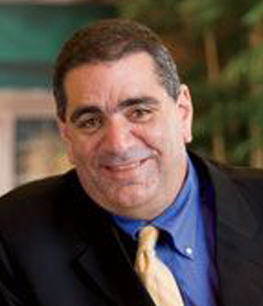 Byrne was an astute businessman whose networking ability benefitted the college tremendously. He will always be remembered as being steadfast in his devotions as well as extremely thorough and professional in his dealings with students and teachers alike. In January 1970 he was appointed assistant Parish Priest at St. Anthony’s Parish, Petit Valley. He Returned to Ireland in 1972 to continue teaching for eight years. He died at the age of 92, in January 1990. Fr. James Hayes Ryan, C.S.Sp. 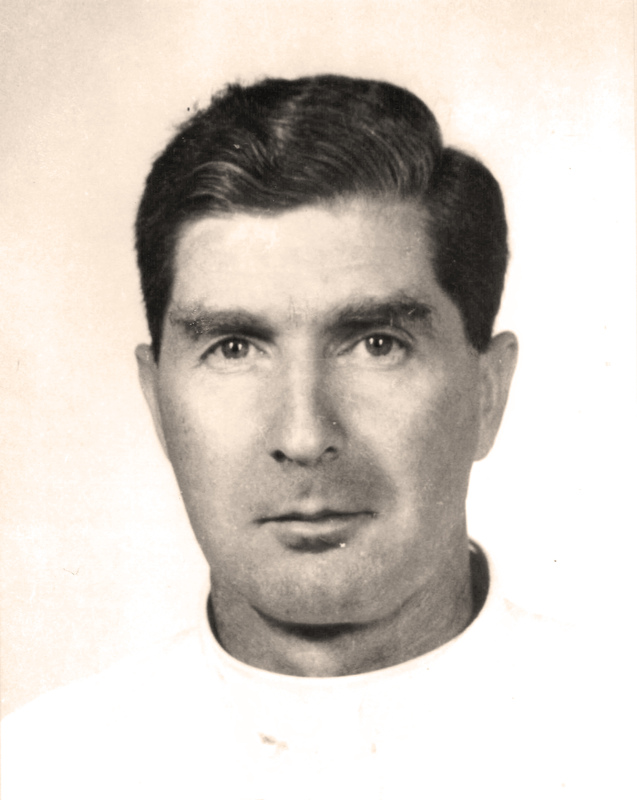 was born in 1914 in Ireland and was ordained to the priesthood in the Congregation of the Holy Ghost Fathers in 1943. 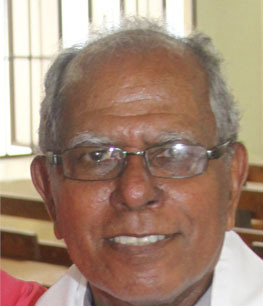 He came to Trinidad in 1944, taught at St. Mary’s for four years and was then appointed as Dean of Studies at Fatima College where he taught for 24 years. He became Principal in 1955 and served in this post until his death in 1973. His roles as Dean of Studies and then Principal, spanned 21 of the first 25 years of the College’s existence. He mentored many past students, seeing a spark of the vocation to teach in them. Fr. Ryan took the initiative for these past students to become teachers at their alma mater. He was also responsible for laying the solid foundation on which the present Fatima College is built, as well as for giving the College its unique character as distinct from its brother school, St. Mary’s. He fought long and hard for the extension of the playground, but he will perhaps be best remembered by staff and students of his time for his skillful organising abilities. 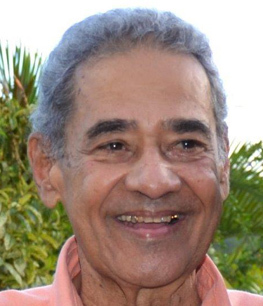 Sydney Aguiton born in 1930, in Woodbrook, was the first of seven, to his father, a much-respected Chief Law Clerk, and mother, a devoted housewife. He received his primary education at Tranquility; his secondary at Fatima, when Sydney and his brother Robert were registered as the very first students of Fatima simply because their surname started with the letter “A”! Sydney acquitted himself academically, and was a respectable fast-bowler/middle-order batsman. 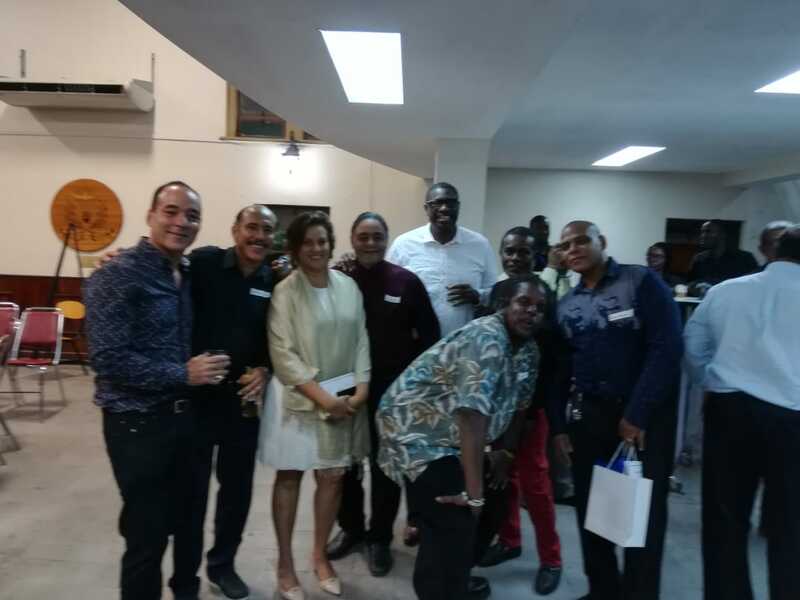 His work track-record included the Accounts Departments of BWIA and United British Oilfields of Trinidad, before he entered the St John Vianney Seminary at Mount Saint Benedict. 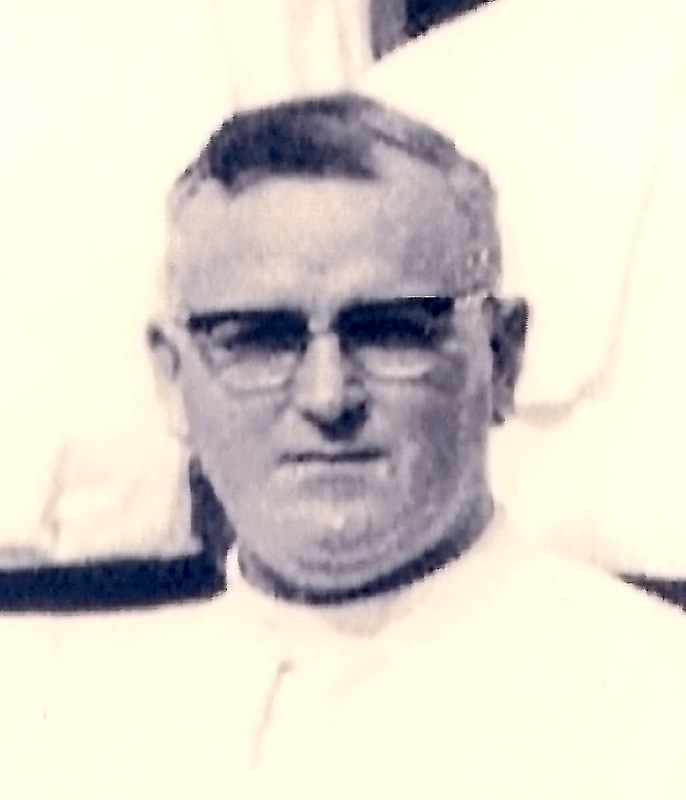 Ordained in 1960, as part of the second group of locals from this Seminary, Sydney was one of the first Fatima boys to become a priest (along with Fr Rudy Mohammed). He went on to be Parish Priest in Erin, Princes Town and New Grant. He died peacefully at age 84, in Vancouver, Canada. Fr. 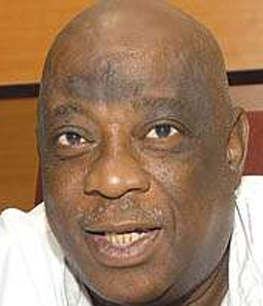 ‘Rudy’ Mohammed was born on the 5th of March 1935. After graduating from Fatima College he studied at the St John Vianney Seminary, Mt. St. Benedict, in preparation for the priesthood. He was ordained on the 25th of September 1960. He was the 1st old boy to be ordained along with Fr. Sydney Aguiton. He was first appointed assistant to the Parish Priest at Arima and then served as Parish Priest in Erin, Laventille-Morvant and Cedros to name but a few. He also spent some time on mission in St. Lucia. Fr. 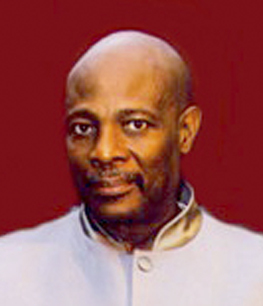 Rudy ministered to the West Indian community in London for three years, during which time he did a course in Communications. He also obtained his Master’s in Adult Catechesis at St. Paul University in Ottawa, Canada. Fr. Rudy has always been known as someone who has that special gift of sharing time and conversation. Msgr. 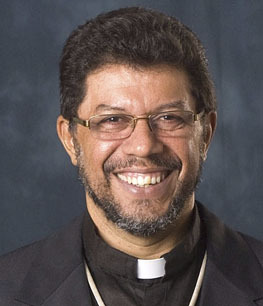 Robert Llanos is an Auxiliary Bishop of the Archdiocese of Port of Spain. After his secondary schooling at Fatima, he obtained his Bachelor’s Degree in Theology at the Regional Seminary of St. John Vianney and the Uganda Martyrs, and his M.S. in Pastoral Counselling Psychology at Loyola College Graduate Centre, Columbia, Maryland, USA. He has studied extensively in various aspects of psychology, inner-healing and counselling techniques, and is a practising Counsellor. He was ordained in 1991 and appointed Vicar-General in 2012. He was ordained Bishop in 2013. 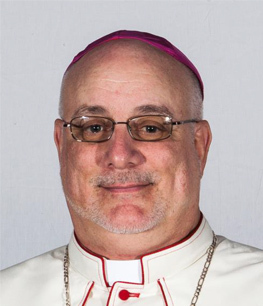 He is the Episcopal Vicar/Chair of the Archdiocesan Family Life Commission, and the Administrator for the Regional Seminary Building, a Conference-Workshop-Retreat-Education facility at Mt. St. Benedict. He is a former Vice-Rector, Lecturer and Formator of the Regional Seminary of St. John Vianney, and Parish Priest of several parishes. He has authored “Catholic Family”. It takes a Fatima Boy to move from Sea Scout to Lifeguard…and a Fatima Man, in the mould of Charles Jason Gordon, to morph from saving lives to saving souls. Jason entered Fatima in 1971, taking to the academic life with the same plunge and progress he gave his nautical exploits—Sea Scouts Troop Leader, Regatta Team Captain, and highest life-saving certification. In academics, he overcame dyslexia to leave Fatima a top Science student. Three years later, he began ascending in the ecclesiastical world— Seminary at age 23; BA in Theology at UWI, St Augustine; Master’s at the Catholic University of Leuven, Belgium; PhD at University of London, shortly after being ordained a priest at age 32 in 1991. 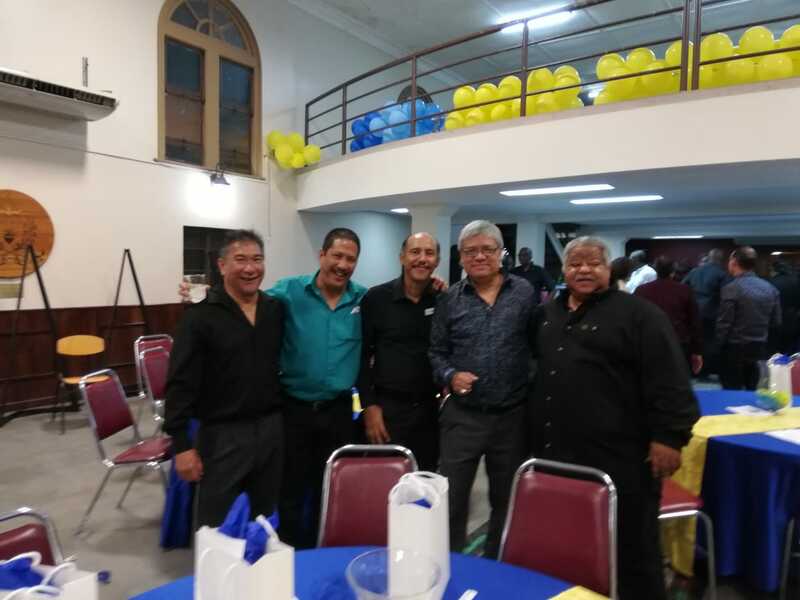 Fr Jason returned to Trinidad to serve as Parish Priest, lecturer, and originator of community service groups focusing on Crime as well as Communications. At age 52, 30 years a priest, Dr Gordon was ordained Bishop of Bridgetown and later Kingstown. He continues to brave the waters of service to those in need, occasionally swimming against the tide, but never forgetting the save-and-survive lessons of Fatima College. Such is the highly held regard for Hilton Hotelier Bill Aguiton. He carried his Maths prowess and his Sea Scouts spirit from Fatima into the Accounts Department of the newly opened Trinidad Hilton (1962), and progressed upwardly rapidly: through Food and Beverage Manager (Trinidad) to a specialist in Hilton openings (Caracas); visiting Instructor at the Hilton Career Development Institute (Montreal); General Manager (Curacao Hilton); GM (Belo Horizonte, Brazil); returning to Trinidad as the first-ever local GM here, retiring after 12 years’ memorable service. He became the first Trinbagonian named ‘Hotelier of the Year’ by the Caribbean Hotel Association; earned a Humming Bird Medal (Gold); served as President of the Trinidad Hotels, Restaurants and Tourism Association; and is Chairman of the Hospitality and Tourism Institute. He has been a Director at the Chamber, Republic Bank, AMCHAM, and Berger Paints…and remains a much-acclaimed hobbyist photographer. When cynics were saying: “If you’re from Siparia, you can only go up!”, Nazir Ahamad headed to Fatima College and proved them right! Born in Siparia, Naz saw his father start Southern Sales in San Fernando in 1952, a small agency for Morris cars, turning it into a magnet for vehicle-seekers everywhere. Naz attended Fatima and St Mary’s Colleges before heading to Birmingham University for his BSc., Civil Engineering. In 1964 he was appointed Director-Sales Manager; 1967 Managing Director, thereafter blossoming into a dynamic entrepreneur leading Southern Sales to nationwide prominence. Naz took the full T&T stage, becoming a Director or Chairman on several Boards, including Neal & Massy Holdings, Guardian Holdings, Bank of Nova Scotia, TRINTOC, et al. In non-business, Naz was a successful turfite producing Derby winners, while finding time for charitable and community-building activities, as well as a committed family life. 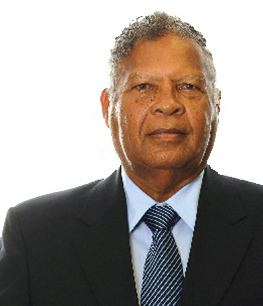 Acquiring accolades—Chaconia Gold, UWI Doctorate, Chamber Hall of Fame, and more—Naz’s fulfilling life ended in 2004 at age 69, his roots in ‘deep south’ Siparia but his branches, fruits and flowers spread up to the furthest north. All the obvious puns about ‘solo’ can be flung at Ken Charles, but none would stick as much as: his start at Fatima was so low, but it didn’t stop him from soaring so high! Form One teacher Clive Pantin asked him for the five vowels and he froze! Choir-master Fr Corcoran disqualified him when he sang the first note of the scale! But the Fatima Scouts took him in, and he in turn took to his studies. His father’s illness forced him to leave Fatima at age 16 and head into the Solo Beverages business, rising rapidly from trainee through cashier, sales, maintenance, and production. At 25, he convinced bankers to fund his majority shareholding and thus sailed to the top of the Company, taking it through revolutionary improvements, finding success in every bottle and can sold…locally, Regionally, internationally. ‘Sailing to the top’ also applied to his power-boat passion, seeing his “Mr Solo” to legendary victories. A conscientious philanthropist as he is a committed businessman, Ken Charles has used his Fatima foundation to power his progress…so low at the start but so high as he keeps on going. His more scholarly colleagues would happily say: Ecame, Esau, and Econquered…that being the most apt description of Joseph P. Esau. Joe, as Fatima’s version of Julius Caesar, battled his way from ‘behind the Bridge’ to London Bridge—East Dry River through Nelson Street Boys, to Rosary Boys, to Fatima College, then Pannell Fitzpatrick Chartered Accountants’ offices in the British capital. 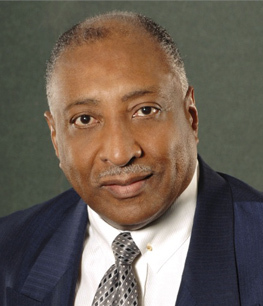 Back in Trinidad two years later, he handled a range of notable clients, served on public and private sector Boards, and made his especial mark with the landmark Revitalization Plan which turned an ailing McEnearney Alstons Group into a still-continuing robust Ansa McAl Group. His successes read like a Who’s What! of the T&T/Caribbean business community: either leading or impacting Ansa McAl, the Victor Mouttet Group, Prestige Holdings Limited, RBTT, One Caribbean Media, T&T Stock Exchange, TELCO, TRINTOC, Free Zone Company, introducing PriceSmart, Payless and the Marriott Groups, UWI’s Institute of Business; even pulling off a one-time rescue of the ever-beleaguered BWIA. Today, his own ‘self-rescue’ and relaxation range between family and fishing…even Caesar deserves a rest. 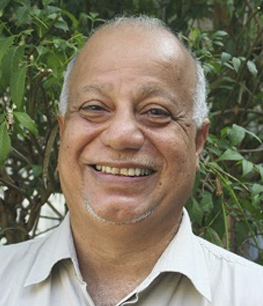 Mr. Dominic Hadeed attended Fatima College from the year 1986 to 1991. After Fatima, Dominic earned a BSc. in Business Administration from Lynn University. 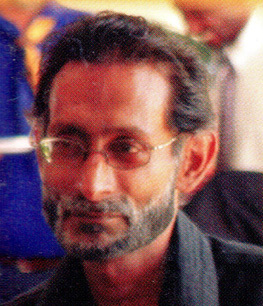 Having successfully completed his degree, Dominic joined the business fraternity and leads a diverse group of successful enterprises both locally and internationally, including Blue Waters Products Limited, Blue Waters St. Lucia Limited, Fabric Land Limited, Domhad Investments Limited and shareholding investments in other corporate entities. Dominic’s passion for business has also driven his involvement in the Trinidad and Tobago Manufacturers’ Association (TTMA) where he served on the TTMA Board for seven years, with the last two years in the role of President — the youngest ever elected at that time. In recognition of his achievements, in 2015 Dominic was awarded The Ernst and Young’s Master Entrepreneur of the Year Award. If Fatima boys came in three sizes (Small, Medium, Large), Gerry Hadeed would be: a small in negativism, a medium by not obsessing over pure academics, and a large in all the innate capabilities to win against life’s challenges. Straight out of Fatima, a young Gerry headed for the adult world of commerce, joining his father’s firm (The Beacon Insurance Co.Ltd) and lighting out on the road to face business battles. Harnessing passion to vision, he learned the crafts of capitalism without forgetting his Fatima foundation to serve people. His sense of service took him into politics, accepting national appointments as a Senator and Cabinet Minister responsible for Communications (2013-14) and Tourism (2014-15). Towering success in his own corporate organisations made him a sought-after contributor to other Boards—e.g. Unit Trust, LIAT, NGC, the IMAX Theatre, Phoenix Park Gas, CIC, ATTIC and Airports Authority. It’s not all about business with Gerry however. His fondness for sport was not limited to his Fatima days of cricket but grew to include a love for cycling which exists up to today. The example established and the inspiration given are undeniable proof that Gerry Hadeed is the Beacon he inherited from his wise and successful father, and the light he learned from his turn at Fatima. 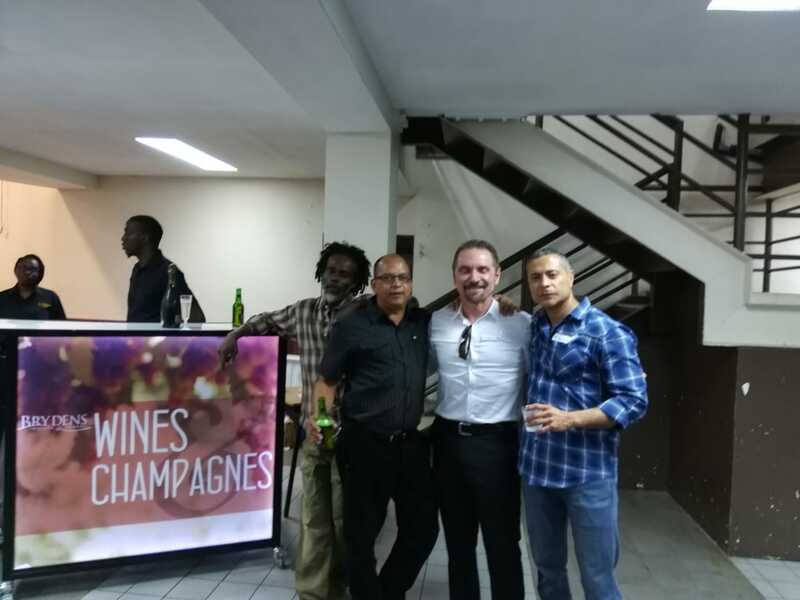 With roots in San Juan and watering from Fatima and St Mary’s, Jerry Adrian Charles Hospedales has become a veritable orchard delivering fruit, from Trinidad to Toronto, UWI to the IMF. Out of College, he joined the Civil Service as a Customs Clerk, taught briefly at Holy Cross in Arima, and entered UWI, St Augustine for his BA (Hons.) in Economics and Spanish. Armed also with a UWI Diploma in International Relations he headed to York University, Toronto, for his Master’s (Economics), earning a post as Teaching Assistant in York’s Economics Faculty. 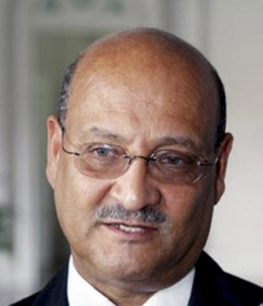 Between studies, Jerry did turns at the T&T Central Bank, becoming a Special Assistant to the Governor; served in senior capacities in the Finance Ministry; was an early head of Unit Trust; did two years at the IMF, Washington; became Deputy Governor of the Central Bank; and spent three years in the Office of the Prime Minister. Jerry’s outstandingness involved him in major financial undertakings—from national Budgets to State Enterprises, CLICO to OPVs…but left him time to return to San Juan to head Jabloteh Sports Club, presiding over 22 enviable trophies, and rich contributions to T&T’s national soccer. Dennis Pantin was born on 20th July, 1948 and to attended Fatima College between 1962 and 1966. Thereafter he studied at UWI, St. Augustine, where he attained a B. Sc. in Economics. Subsequent to that, he obtained an M. Phil. in Development Studies from the Institute of Development Studies at the University of Sussex. He also spent time studying at institutions in the USA, the UK and Canada. 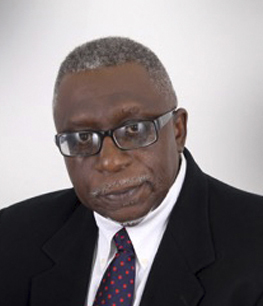 Dennis was a founding member of the T&T Economics Association (TTEA), the Association of Caribbean Economists (Ace) and the Constitution Reform Forum (CRF) of Trinidad & Tobago. He provided consultancy services to many Regional and international organisations such as the CARICOM Secretariat, the OAS and USAID. A mind as furtive as Professor Pantin’s would see a prolific output in other areas: in one case it was writing. Pantin maintained weekly columns in local newspapers for more than two decades between 1980 and 2003, and also published in Regional and international journals. He is the author of the Economics of Sustainable Development in Caribbean SIDS and Editor of the recently published Reader in Caribbean Economy. Dennis Pantin passed away on July 13, 2010. He was posthumously awarded the Hummingbird (Gold) Medal for national service. If it’s apocryphal that when Accountants are not adding they’re busy multiplying, it’s true of Kyle Rudden…given the multiples of his achievements and milestones. Kyle took a flying leap from the Fatima platform when in 1984 he won a National Scholarship, with the President’s Gold Medal to boot! He next became the local-prize winner completing his ACCA exams in three years. He then moved at record-setting speeds in performances with the UK Chartered Institute of Bankers (Best Paper worldwide), UK Institute of Actuaries (mastered in 2.5 years), and the US Casualty Actuarial Society. His work affiliations stretch from the UK to the US, from Africa and to Mayaro (the Mayaro Initiative for Private Enterprise Development— MIPED). He has made specialist presentations across the globe—from Guyana to Togo, Barbados to the Bahamas, Suriname to Miami; and guided critical areas such as fair values/yield curves (Fiji, Kenya, et al), health insurance needs (the Caribbean), National Insurance mortality study (UWI), and ‘pension rights on divorce’. Married with four offspring, Kyle says he has varying ‘ capacities’ in Spanish and French, and is getting acquainted with Japanese. Mario Sabga-Aboud was born a man of good taste, as the son of a diplomat posted to Trinidad, and that may have made him such a natural to go into the ‘good tasting’ business of quality cuisine. 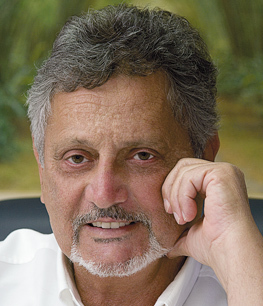 With his Fatima education on his belt, Mario struck out in the direction of commercial business…and as any successful entrepreneur, he saw the need, identified the best response, and established products, services and facilities to please a variety of palettes — first-class meals made available at some 100 attractive locations in the Caribbean and South America. His warm personality and tasteful reputation further paved the way for international franchise successes—with Church’s Chicken, together with his own Pizza Boys and Rituals Coffee House enterprises. Mario, with all the spirit and energy of a true Fatima boy, continues to be involved in a wide range of business ventures. He also pursues his sense of community and charity—creating the Save-a-Heart Fund to assist persons with cardio-challenges, and serving as benefactor to a number of NGOs. Clive Bradley made his mark at Fatima, showing himself to be if somewhat small in stature, nothing less than a giant in his pursuits. A brilliant Math student, he later lectured in the subject at the Port of Spain Teachers College, and taught at Diego Martin Boys R.C. and Belmont Boys Intermediate. Fortunately for T&T, he also taught himself to play the guitar and piano, and to read music. He gigged anywhere with jazz, calypso, dance musicians; went on to arrange for Esquires Now band, Clarence Curvan Orchestra, the Mighty Sparrow, Lord Kitchener, Lord Nelson, et al. Then came his opportunity to work with a steelband—recommended by Roy Cape to be the arranger for Desperadoes, replacing the migrating Beverly Griffith. What followed became legendary in steelband history and T&T’s culture-lore. 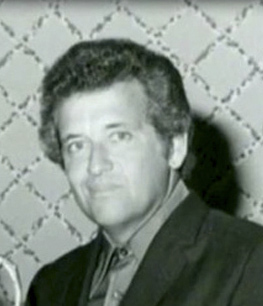 Bradley won six dazzling Panoramas for Despers, starting in 1968 with Sparrow’s ‘Mr Walker’; and won a seventh Panorama, with Nutones doing Rudder’s ‘High Mass’. Utter the word ‘Bradley’ anywhere and people smile at these cherished memories. Times were that young men were cautioned to not ‘blow their own horn’ because ‘to trumpet yourself ’ was to be a boastful boor. Then along came Etienne Charles, trumpeter, composer & percussionist extraordinaire, a Fatima boy who simply blew everybody away with his eclectic musical credentials, skills and performances. Son of an accomplished Fatima Alumnus, and nephew of a former Fatima teacher, young Charles did his academics with the bouncy style of Louis Armstrong; sailed to his Bachelor’s at Florida State University with the smoothness of Miles Davis; and punched his way to a Master’s at Julliard’s with the fire of Wynton Marsalis. Out of school, into studios, on the road, Etienne’s trumpet has been heard the world over. New York Times called him ‘an auteur’ (a sort of French way of saying you’re terrifically distinctive); Jazz Times described him as ‘a daring improviser who delivers with heart-wrenching lyricism’. He’s won the National Trumpet Competition Jazz Division; been written into the US Congressional Record; had his CD Creole Soul spend three weeks at No.1 on the Jazz Week Chart; been selected as a 2015 Guggenheim Fellow in the Creative Arts; and currently serves as Assistant Professor of Jazz Studies at Michigan State University. He has performed with many of the world’s finest including Wynton Marsalis, Marcus Miller, Marcus Roberts, Rene Marie, Monty Alexander, James Moody, Clark Terry, and more. 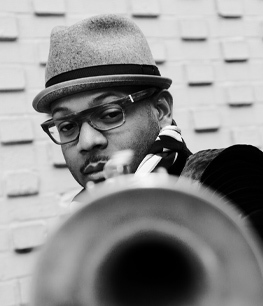 Etienne Charles has the right to blow his horn…and the world so applauds. I was born on August 9th 1973, in St. Lucia. I suffered from lack of oxygen during birth, and thus Cerebral Palsy. This condition affected my motor-control as well as my speech. I only learned to walk when I was nine-years-old. My family moved to Trinidad in the late 1970s, hoping that this country would offer me better chances. They worked hard to provide me a decent education, and this paid off when I sat Common Entrance at Princess Elizabeth Centre and was accepted into Fatima in 1988! I used an electric typewriter to do my work, including almost all the regular subjects (except Art, Technical Drawing, and PE). Over time I dropped the subjects that proved difficult for me (Spanish, French, Science, etc). 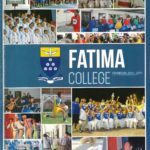 I made life-long friends, attended football matches, and took part and pride in being a Fatima Boy. I had good days and bad days, like everyone else. But I graduated in 1995 with three CXC passes—English, Math, and Geography. Leaving Fatima, I attended ROYTEC; then off on my own to earn an Associate degree in 3D Animation from International Fine Arts College in Miami, Florida, in 1998. Returning to Trinidad, I became a professional artist; staged several solo exhibitions, and took part in ‘Art Basel Miami’. I also taught Graphic Art at Princess Elizabeth Centre. I wrote a short autobiography entitled “Aching To Be”, published in July 2015. I am currently writing my full life story, hopefully to be completed within the next two years. 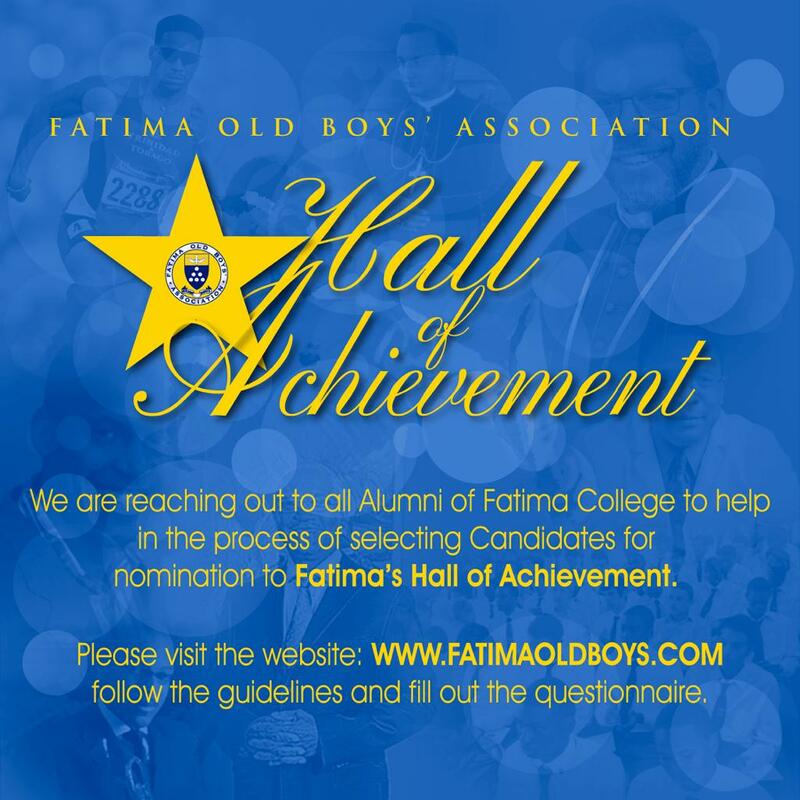 Thank you Fatima College, for playing an important role in my becoming the man I am today. 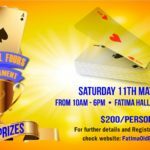 Andrew Fitt…it is Fatima College that owes you gratitude. Legend has it that when Raoul Pantin was born, it was with a golden imagination. In his years at Fatima, Raoul mined the depths of his imagination—by plumbing the College’s existentialism in ‘characters’ and occurrences to fuel his creativity, even as he enjoyed cricket and table-tennis. 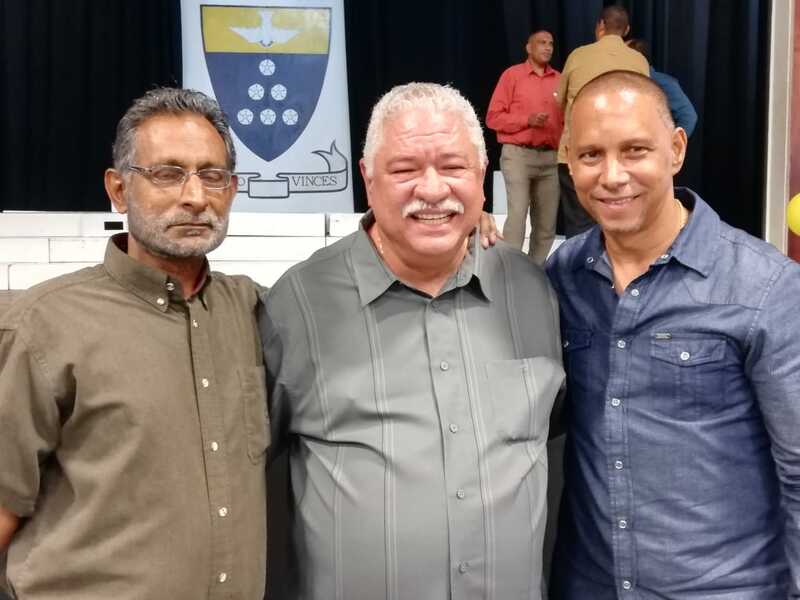 After College, he was pulled in the write direction: in jobs such as News Editor at Radio Guardian, the short-lived British Mirror, the Trinidad Guardian, then Daily Express; back to 610 Radio, and finally TTT… before his last years as a Columnist. In between, Raoul rolled out several poetic works, plays and movie scripts (including the indigenous classic, Bim); and books about his real life experiences as a witness to the 1970 Black Power Revolution and as a hostage during the 1990 coup. Raoul won acclaim and awards as an articulator of Trinbagonian hurt and humour, using a contrast between reality and golden imagination to paint a picture of the land that he loved, until his death in January 2015, at age 71. Parents Selwyn and Joy encouraged him to conduct himself ‘well’…and the young Kwame Ryan took ‘conducting well’ to heart. Of outstanding Trinidadian pedigree, Kwame was born in Canada. A Fatima boy up to the age of 14, he left for boarding school in England with the dream of becoming a conductor, paving his path with studies in piano, voice, double bass, and degrees in Musicology at the elite Cambridge University. 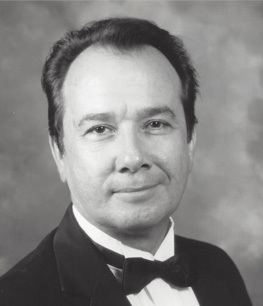 Prestigious positions have been his reward for years of refining his craft: General Music Director of Freiburg Opera, Germany; Artistic Director of National Orchestra of Bordeaux, France, and the National Youth Orchestra of France; French National Award for Achievements in the Arts. Guest Conductor of major orchestras in Germany, France, USA, the U.K., Belgium, South Korea, Australia; soon to conduct the celebrated Radio France Philharmonic Orchestra and the Seoul Philharmonic Orchestra. Ryan gives back to this country what Fatima gave to him by dedicating himself to mentoring young talents at the University of Trinidad and Tobago. 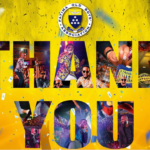 He also nurtures young local talent through his Youth Music Exchange (YMX), which affords young Trinbagonian musicians the international exposure they need to follow in his footsteps. From his earliest days studying at Fatima College to his latest days teaching at UTT, Desmond Waithe has been a heavyweight— not with avoirdupois but in avocation to make sweet music. At Fatima (1957-62), he honed his natural skills in the National Festival-winning St Dominic Savio Choir. When he entered Mausica Teachers Training College, he became instrumental (literally) in forming the celebrated Mausica Folk Choir. He spent some 35 years teaching at Belmont Boys’ Intermediate, interrupted by four years as a member of the T&T Regiment Band. Taking his instruments and skills everywhere needed, Desmond choir-hopped from the historic La Petite Musicale to the newly-formed Chaconia Choir, to the legendary Marionettes Chorale— spicing up their sheets with Folk and Calypso…and giving him a natural pivot to steelbands: e.g. Nutones, Exodus, and Exocubs. He teamed with the masterly Pelham Goddard to arrange Rudder’s classic Savannah Party for Exodus Steel Orchestra—winning the 1992 Panorama, in a manner of speaking, hands down. For his melodic contribution to T&T/Caribbean culture, Waithe received the Hummingbird Medal (Silver) in 1993…a fitting accolade for a music-creator always on wing. At Fatima, John Agard impacted the academic environment… but globally, he has been mastering the sciences related to The Environment, to give us all a better life. Leaving Fatima with his A-Levels in Biology, Chemistry and Physics, he entered UWI, St Augustine, to emerge with his BSc in Natural Sciences and return to Fatima for a brief teaching stint. He headed next to Manchester University for his MSc, and made the return trip to UWI for his PhD in Zoology—rising to Professor, Head of Department, and winner of the 2010 Award for Overall Excellence and the 2014 Award for Best Department. 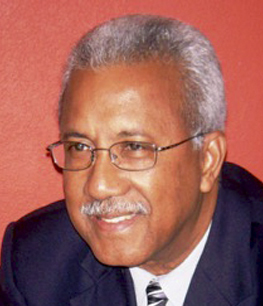 He took the science world by storm: Regionally, as a member of the Caribbean Sea Commission and the CARICOM Task Force on Climate Change; internationally, topping it off by being a Lead Author of the Inter-Governmental Panel on Climate Change (IPCC) which shared the 2007 Nobel Peace Prize with former US Vice-President Al Gore. 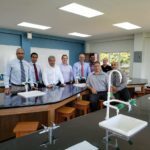 Back in T&T, Prof. Agard has served in many capacities (e.g., as Chairman of the EMA), promoting the environment in sustainable development—engaging and inspiring collaborators including Government, NGOs, Industry and young citizens. Fr. Timothy Corcoran, C.S.Sp. was born in Dublin, Ireland, in January 1923. He was the oldest of three brothers to join the Missionary Congregation of the Holy Ghost Fathers. His theological studies were done at the Holy Ghost Missionary College, Dublin, and he was ordained to the priesthood in July 1950. Fr. Corcoran arrived in Trinidad in 1951 and taught at Fatima College for 24 years, five of which he served as Vice-Principal (1966-1971). He died in 1975. He will forever be remembered for his musical talents. He believed that the love of God could be expressed through music and that, in a Catholic school, music was a means by which human values and virtues could be taught. He was responsible for founding and directing the College Choir—the St. Dominic Savio Choir—for many years. The choir performed annually in the College Auditorium, and always at the Music Festivals with great success. Fr. Corcoran was a member of the Music Festival Association and of the Committee that organised the Festivals. He was also associated with the “Week of Arts” where he was a judge at Steelband Festivals. Back in the 1800’s, H.S. Cropper was a great inventor and Sheriff of Nottingham. Ironically, a hundred years later, another Cropper, Andre D. (A. D.), turns up at Fatima and launches out to become a world outstanding inventor! A.D. Cropper followed Fatima with stints at Howard (Bachelor’s and Master’s in Electrical Engineering), Virginia Polytechnic and State University (Ph.D in EE). Then his dizzying climb: Technical Subject Matter expert for the Intelligence community; innovator and collaborator with US Government and Intelligence Agencies; work in six countries in telecommunications, flat-panel displays, aerospace/defence industries; developing EDFA Pump Lasers, OLED, HSI Payloads; publishing technical papers, addressing professional conferences and securing four patents. Dr Cropper became the Electro-Optical, Infrared Engineering Fellow and Hyperspectral Imaging Technical Subject Matter expert at the industry-leader Raytheon’s Space and Airborne Systems. He has been recognized in T&T and the Caribbean as an Icon in Science, Technology and Innovation, the recipient of the 2014 “Professional of the Year” Award for outstanding career achievements from the American Indian Science & Engineering Society, and has been honoured by the Rochester Museum and Science Centre in New York as “One of the Inventors Who Makes Things Work in Rochester”. In the positive sense of the expression, out of Fatima has come a Cropper. Fr. Gerard Emmanuel Farfan, C.S.Sp. was born on January 6th, 1931. After graduating from St. Mary’s College, he spent a year at the Holy Ghost Fathers Novitiate in Canada. He then went to Ireland where he studied Botany, Zoology and Geology along with his formation studies, and was ordained to the priesthood in 1961. Fr. 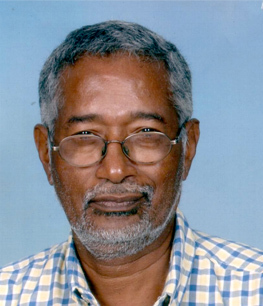 Farfan returned to Trinidad in 1962 and was appointed to Fatima College where he taught for fourteen (14) years. During this period he was Manager of the College and then Vice-Principal. He was well-known as a very competent teacher of Biology and Religion. As a Biology teacher, he saw that there was no conflict between faith and science; furthermore, he saw the glory of God in the creatures he encountered in his lab. He designed and supervised the construction of the Audio-Visual Room (the first secondary school AV in the nation), as well as the sports ground pavilion. He was also a founding member of the Trinidad and Tobago Unified Teachers Association (TTUTA). After a sabbatical in 1976, he was appointed Vice-Principal at St. Mary’s College, where he taught until his retirement. He died on January 28th, 2014. Derek Johnson has been a household name at Fatima College— beyond the golden stretch of 60 years, with just as sparkling a reputation outside the College and in the national community. After leaving Fatima in 1955, he took a cue from his first name and headed to the derricks in south Trinidad to work amidst the wealth-producing oilfields of the 50’s. He moved back north in the early 60’s, and initiated a chain of successes—from his marriage in 1961, to founding his own company Food Etcetera (Offshore and On-land catering); Exports Etcetera (seafood processing company); in community-service, including: Junior Achievement, New Life Ministries Rehab Centre at Mt St Benedict, Jaycees bodies from St Augustine to the national entity, Chairman of the Caribbean Junior Golf Tournament in 1992 and Chairman of National Quarries Ltd. from 1968 to 1991. He served as President of T&T Jaycees and Vice President of West Indies Jaycees. He also served as the first president of the Fatima Old Boys Association (the 60’s to 70’s). Derek has been a tireless campaigner for the improvement of people and places, a consistent public advisor through his lucid letter-writings to the newspapers, and himself the proud recipient of a letter of commendation from the Police Service for chasing and arresting a purse-snatcher in 1978! A Fatima humourist opined that when Anthony Kalloo was completing his brilliant Science stay at Fatima, he was asked what would be his choice of Medicine. He allegedly replied: “Alimentary, my dear fellow, alimentary.” And that’s how Gastroenterology became his successful career. 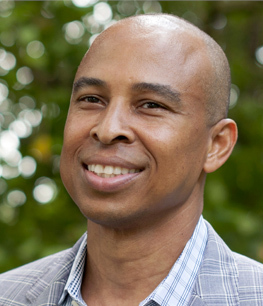 Anthony received his medical degree at UWI, interned at Howard University Hospital, completed his fellowship with Georgetown University, VA Medical Center and NIH programmes. 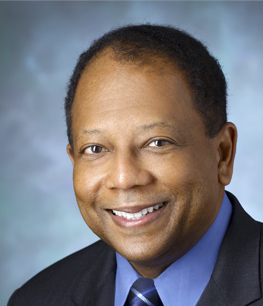 He joined Johns Hopkins faculty and rose to Professor of Medicine, Director of the Gastroenterology and Hepatology Division. 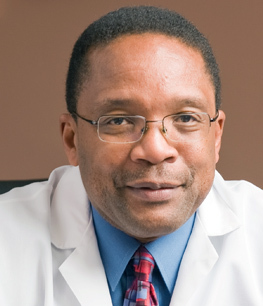 In 2009, he was awarded Distinguished Educator of the Year by the American Society for Gastrointestinal Endoscopy. He has made his mark with over 190 scientific papers, articles, reviews, book chapters; has some 18 patents issued, with five more submitted; is a known luminary from France to Australia, Germany to Hawaii, India to Abu Dhabi. He swept back into Trinidad in 2014 to be awarded the Emmanuel Ciprian Amoroso Award for Excellence in Medical Sciences from NIHERST. Professsor Anthony Kalloo makes people the world over healthier and happier, thanks to the decision he took at Fatima decades ago, to get on the right tract. Archbishop Anthony Pantin occupies a very special place in the heart of Fatima College. He taught at Fatima for five years where significantly he composed the College Song depicting the Fatima boy as “answering the call”, being “ fearless and true” with God as his guide. The true spirit of a student is encapsulated in his “strive on, Fatima boys, strive on” in tandem with our motto ‘Nitendo Vinces’. 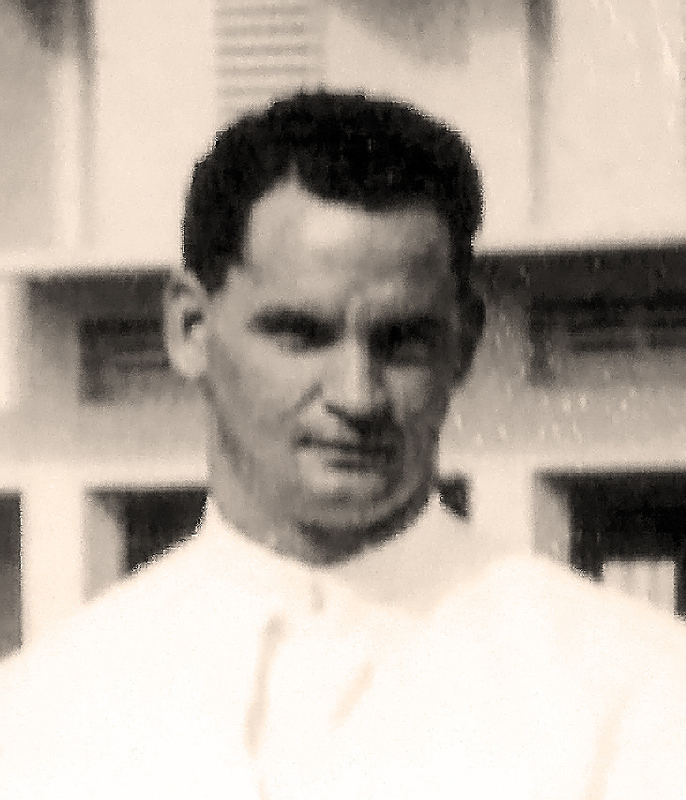 Gordon Anthony Pantin was born in Port of Spain on 27th August 1929 and was ordained to the priesthood in 1955. He was appointed Dean of Discipline at Fatima College in 1960, but despite this ‘strict’ position he related very well with the students and was considered a gregarious teacher. He left Fatima College in 1964, and in 1968 was appointed our first local Archbishop. He became ‘all things to all men’, encouraging closer relations with other Christian churches, which led to the formation of the Inter-Religious Organisation (IRO) which established links with Non-Christian religions. He died of heart failure on Sunday, March 12, 2000. The Diocesan Enquiry into his Cause for Beatification of Servant of God was launched in December 2013. Robert Wickham blazed his way through Fatima College and onto the world stage to make a credible claim for the title of ‘Fatima Renaissance Man’. His Fatima comet-like beginnings included being: athlete, all-levels cricketer, a National Under-19 player led by Brian Lara, Cadet Staff Sergeant, undefeated Calypso Champion, and National Scholarship Winner. He reinvested one year at Fatima, teaching Form I Math before his rapid ascendancy to Massachusetts Institute of Technology (MIT) to graduate in Aero-Astro Engineering (while gaining recognition playing Varsity squash). He strode into Harvard Business School for his MBA; then maintained his meteoric trajectory across the world’s business skies: a globe-trotting airline specialist with Boston Consulting Group; founder of a low-cost airline (later sold to EasyJet); joining a tech-based startup (sold to the giant Oracle), this taking his career to Australia for Oracle; finally pausing Down Under with the cloud computing pioneer Salesforce.com. With a sparkling family backdrop of: school-Principal mother Ursula Wickham, media maven sister Lisa, accomplished Aussie wife and two children…Robert Wickham now places his Fatima HOA Award next to his Bronze Beaver (MIT’s highest alumni award) and his many other prestigious mementoes gathered from Fatima to Australia. If Obstetricians-Gynaecologists are the lifeguards of our women-folk, Dr Keith Williams is a veritable Navy Seal! Leaving Fatima in 1973, he outfitted himself impressively: UWI, Jamaica (MBBS); University of Alberta (FRCS); University of British Columbia (Fellowship—Maternal Fetal Medicine); Simon Fraser University (MBA); Oxford University (Fellow—Hypertension in Pregnancy). 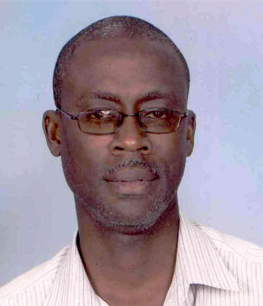 He has done countless stints across the medical world—as Assistant Professor, full Professor, Department Chair; receiving awards and distinctions from UWI to Yale; researching, publishing, presenting and lecturing; editing and reviewing peer papers; achieving status as an international go-to Consultant in his field. Thanks to the quality of life taught to him at Fatima College, Dr Keith Williams continues to dedicate himself to the lives of mothers, children and women generally, as well as to students, colleagues and institutions, in the service he renders to all. While you should never judge a book by its cover, you certainly can cover this Judge in a book of laurels and recognition. Justice Melville Baird has virtually written his own book on how to be a Fatima boy of class, distinction and exemplary accomplishment. At College, he won himself a House Scholarship, as well as the Principal’s Cup for Outstanding Student in 1957. 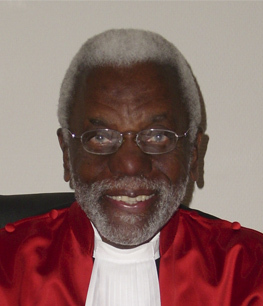 Trained at Middle Temple, he practised as a Barrister in Trinidad until he accepted an appointment as a Magistrate. He rose through Senior Magistrate to Chief Magistrate, and thence to High Court Judge—each a first for a Fatima graduate. Melville—the Fatima boy who loved and still loves the classics in literature, history and music—moved comfortably to the ‘world Bench’ as an Ad Litem Judge of the International Criminal Tribunal for the former Yugoslavia, elected so by the General Assembly of the United Nations. Melville Baird has turned out to be a Fatima boy-and-Judge who rules in jurisprudential Court as well as that of public opinion, and deserves to sit now in our Hall of Achievement. When Jules Bernard—growing up in the hamlet of Toco, attending Fatima in the Port-of-Spain—was described as having a gentle yet arresting personality it never signalled that he would one day become one of the country’s top cops literally, the Commissioner of Police. Straight out of Fatima, Jules joined the Police Service in 1956, immediately shooting to the top by winning the ‘best stick’ as top recruit of his batch. While a Constable, he pursued his academic endeavours, becoming the second-ever T&T Police Officer to acquire a university degree with his BA in Modern Languages from UWI, St. Augustine. 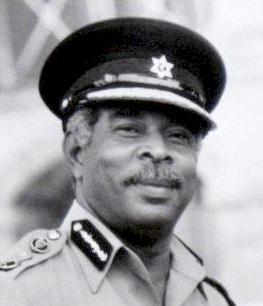 He rose steadily through the Police ranks, was posted to many Divisions, and worked with such distinction that he was promoted to Commissioner (1990 to 1996), leading the TTPS to win the Trinity Cross in 1991. During his term, he became Regional Head for INTERPOL; while volunteering administratively to sports (NAAA, TTOA, TTBBC), civics (Lions Club), and our own FOBA. Jules passed in 2007, but before that repeated what his own father gifted to him: ensuring that his sons Jules and Carlyle attend Fatima, the latter distinguishing himself academically and athletically. Either by destiny or perspicacity, Anthony Bryan’s father, the distinguished legislator Victor Bryan, chose to locate his family home on Gaston-Johnson Street, across from Fatima College. So attending Fatima College became a ‘walk over’ for young Tony Bryan. He built his early academic foundation, and enjoyed extra-curricular activities in music, football, and in competitive rowing and swimming as a member of First Fatima Sea Scouts. He earned his Bachelor’s, Master’s and PhD from the University of Nebraska. 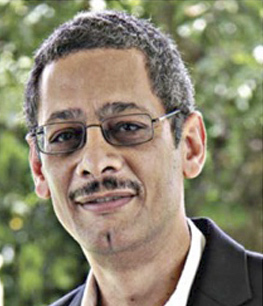 Dr Bryan grew as a scholar, securing tenure at the University of Rhode Island as Professor of Latin American History (fluent in Spanish), and at The UWI-St Augustine, as Professor/Director of the Institute of International Relations. 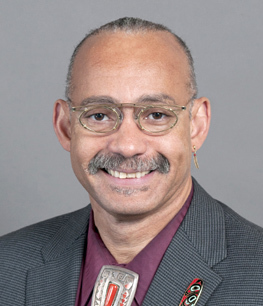 A visiting Professor at universities in Europe and the US, he also held senior scholar attachments in world policy-making bodies, and served as a member of several Cabinet-appointed Committees in T&T. Emeritus Professor Bryan is a prolific contributor to global publications, a high-in-demand public speaker, and adviser to public and private sector bodies in North and South America, and the Caribbean…in spheres of energy, trade, transnational security, and an eclectic range of geopolitical matters. In a school structure which established ‘The Dean’ as a formidable presence for Studies and Discipline, Gordon P. Deane was a significant figure on the Fatima landscape. After accomplishing himself in his studies at the College, Deane qualified at tertiary level, becoming a Fellow of the Chartered Insurance Institute, and graduating from training in the International Senior Management Programme at Harvard Business School. 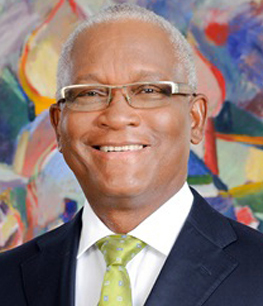 Deane has established a towering track-record in the T&T finance and insurance worlds, including being: CEO of three major insurance companies, President of the T&T Insurance Institute and the Association of Insurance Companies, President of the Chamber, Chairman of NIB, Stock Exchange, the Integrity Commission and Atlantic LNG. 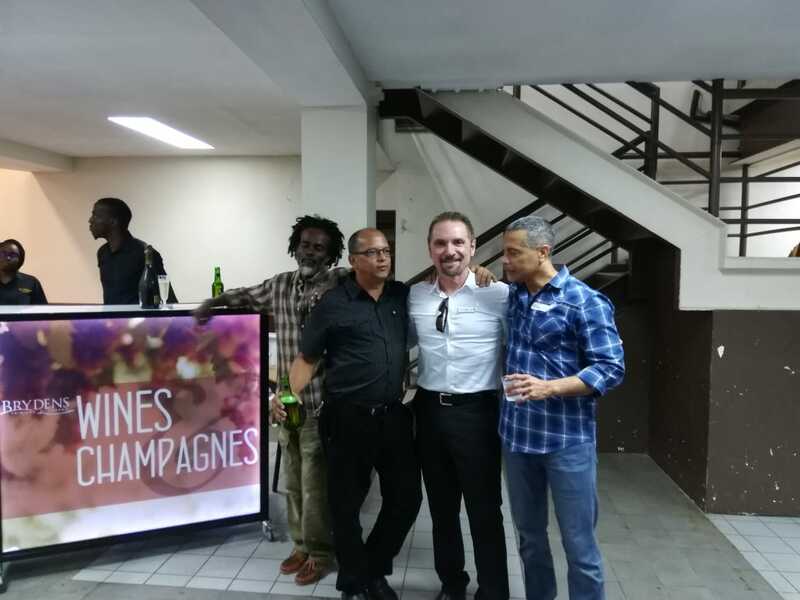 Gordon has remained a community-spirited contributor—whether as member of the MIPED Board or President of the Rotary Club of Port of Spain. Amidst his busy schedule he has found time for family (wife and three children) and hobbies (wood-working, agro-forestry and bee-keeping). From his quality days at Fatima College to his smooth transitions through Academics, Law, Politics and Diplomacy, John Securus Jeremie, SC, was always of silk. 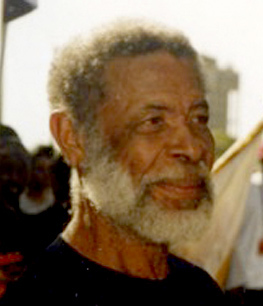 Finishing his Fatima period (1974-81), he travelled to Barbados for studies at UWI, Cave Hill, and then on to King’s College, London University, for his Master’s degree. In Trinidad, he became another Fatima boy to be appointed Attorney-General, following which he accepted an appointment to be T&T’s High Commissioner to the UK, Denmark, Norway, Finland and Germany. 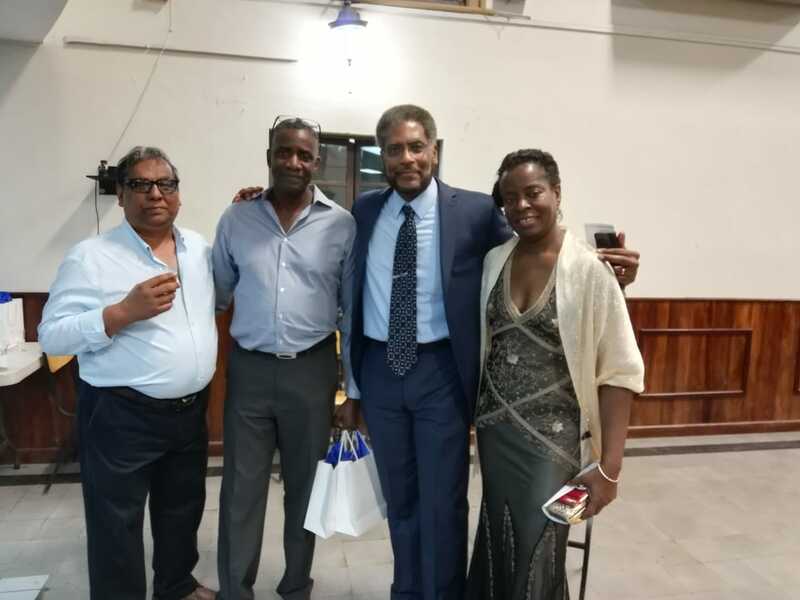 At the end of that service, he returned to Law, this time as a Senior Lecturer at UWI, St Augustine; and a Senior Partner in the firm (Alexander, Jeremie and Company) founded by his father. 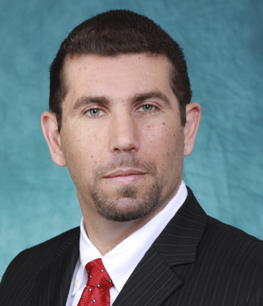 Jeremie’s research articles have been carried in international law publications; he himself is recognized by Cambridge University as an authority on Company Law and Financial Crime. John Jeremie, SC, remains today a practitioner in the Courts, and a proud carrier of the silken quality of Fatima College. Anton La Fond is one of Fatima’s most outstanding examples of how the College has given its students not only good brains, or good sports limbs but also good hearts. Following Fatima, Anton’s next training experience was in the UK where he became certified as a Member of the Chartered Institute of Transportation, but found his calling attached to the Disability Unit of the Department of Transport in London. Here he implemented a project for “traffic calming”, devised changes to facilities at intersections to assist the elderly and visually/hearing impaired. He roamed both sides of the Atlantic designing and implementing a range of aids for disabled citizens—from Canada to Grenada. In Trinidad, he has done research and recommendations to improve conditions for the disabled who access public and private premises— e.g. at the TTMF building, SAGICOR offices, Grand Stand facilities, and others. Anton founded his own NGO, C.A.R.E—Complete Assistance Respect Equality—to undertake the promoting of care and service to the disabled and elderly. When mischievous colleagues teased him about his names, Hector Ormesbie Naughton McClean maintained a calm, deliberate focus on making a good name for himself. And so he did. 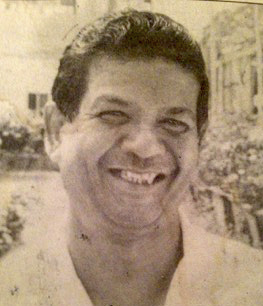 Hector was deliberate about everything he did—travelling studiously on the train from Tunapuna, mastering his studies at Fatima, falling in love with literature and the choral experience of the St Dominic Savio Choir, becoming a barrister-at-law at Gray’s Inn in London, accepting the Chairmanship of the then vibrant Port of Spain Rent Assessment Board, joining the PNM to win the Tunapuna seat in Parliament, and holding various key PNM Cabinet posts including Minister of Labour. He later made political history crossing the floor and becoming an independent MP. While salving his spirit with the work of founding the Eastern Musicale, he remained active in national service: a Judge in the Industrial Court, Deputy Secretary-General of the Commonwealth Parliamentary Association, and Speaker of the House of Representatives in the Panday period of 1995-2001. 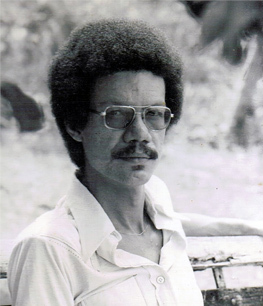 Hector passed in 2005, receiving posthumous honours, from his home district of Arouca-Trincity, and induction in the T&T Cadet Force Hall of Honour. 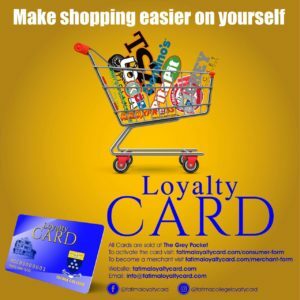 Anthony Isidore Smart, instead of being burdened by his name, set out to make his life a living testimony to what being sensibly smart is all about. After attending Fatima (1958-64) he taught at the College for one year before heading to the University of Toronto, obtaining his BA, majoring in Economics at age 21. 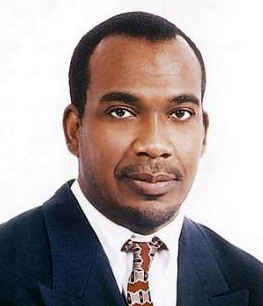 He pivoted to the profession of his distinguished father, attorney Isidore Smart, and began practising as a Solicitor and Conveyancer from age 25. 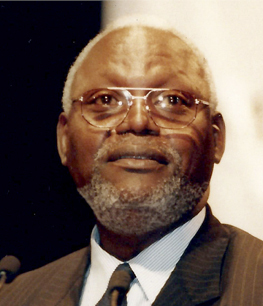 He got into politics as one of the founders of the Organisation for National Reconstruction (ONR) and the National Alliance for Reconstruction (NAR); won a seat in Parliament in 1986; rose to become Deputy Speaker, Minister in the Office of the Attorney General and the Prime Minister, Chief Whip, and finally Attorney General at age 42. The tragic attempted coup of 1990 saw AG Tony Smart displaying sterling qualities of courage and patriotism when he eluded the insurrectionists in Parliament and emerged to play a leading role in defending and preserving T&T’s democracy during the country’s most challenging period. 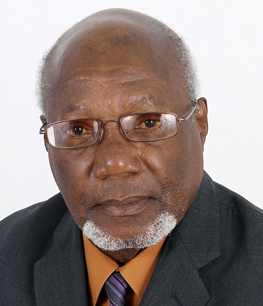 Out of Parliament, he resumed his law practice and served briefly as Chairman and Political Leader of the NAR. More recently, he again undertook national responsibility accepting the chairmanship of First Citizens Bank. Stepping straight out of verses from Longfellow’s “The Village Blacksmith”, Kitchener and Rudder (“Mango Tree”, “The Hammer”), Keith Smith grew from under a spreading mango tree, somewhere up in Lavent’ee, to become the village Smithy, the Fatima College mighty man, and the consummate word Smith of T&T journalism. Born in 1944, he stormed through Fatima (50’s and 60’s), leaving a trail of hearty noises behind him, gaining skills to hammer out any story on the anvil of his typewriter. He hopped from Tapia political writings to People magazine cheeriness, to gritty Journalism at The Express, a short stay at UWI, St Augustine, before climbing the steps through Reporter, Sub-Editor, Editor, and Columnist. Because of his own life lived with an edge—at times battling the control—Keith became an above-average every man—bringing reality to his reportage on everyday affairs, tapping into a Laventillean rhythm that everywhere could feel, giving his work a range of interpretative styles everybody could grasp. 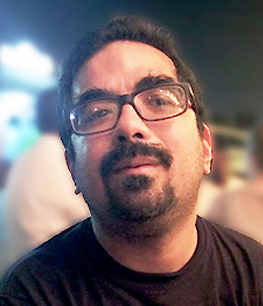 In 2009, he received the Humming Bird Medal (Silver) for Journalism. Two years later, he died of cancer at age 65…lamented by everyone who knew him, heard him, saw him, and read him. Christopher R. Thomas was born in Trinidad and Tobago of humble parentage, but was destined to become a distinguished global citizen. 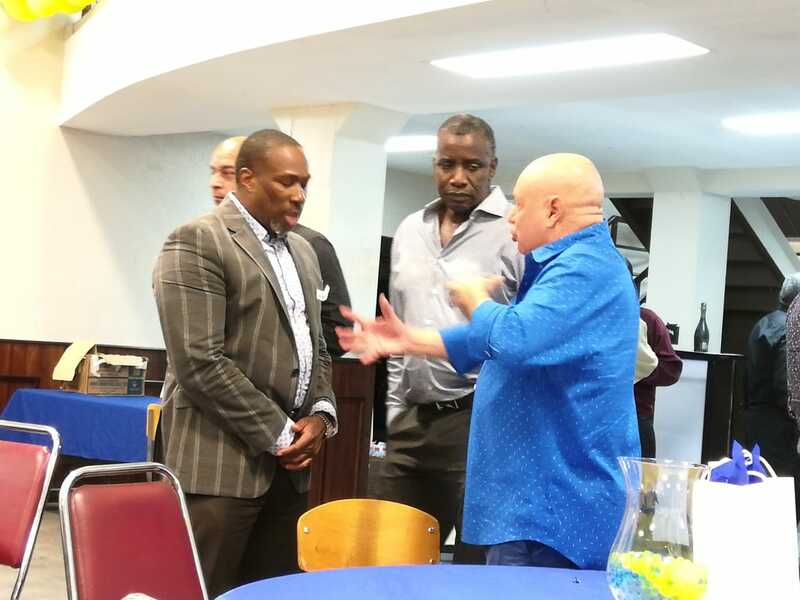 After attending Fatima College, he went on to higher studies- BA (London), Diploma in Education (UWI) M.LITT (Bristol University), MA (New York University) and was later awarded an Honourary Doctorate in Laws (University of Maine USA). 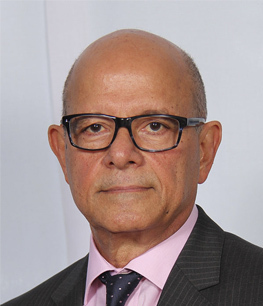 Fluent in Spanish and French, he was appointed Permanent Secretary, Ministry of External Affairs, Trinidad and Tobago and subsequently Ambassador to Venezuela, Colombia, Ecuador and Peru. In his wider diplomatic career, Ambassador Thomas registered an illustrious array of ‘firsts’: first Caribbean elected to the 13-member UN Finance Committee; first Caribbean to chair the United Nations Finance Committee; first T&T national elected to the UN’s 11-member Inspectorate and the first T&T citizen elected to one of the two leadership posts of the Organization of American States. For his excellence in work abroad, this grand dean of Diplomacy was awarded The ‘Gran Cordon del Libertador, Venezuela’s highest award (1990) for foreign dignitaries; the Chaconia Medal (Gold), for long and meritorious service to the public service of T&T (1997); the Award of Excellency in Diplomacy by the Institute of Caribbean Studies in Washington, D.C. (1999). 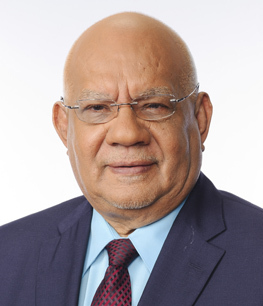 At home after his illustrious career abroad, he was appointed by the President of the Republic of Trinidad and Tobago as an independent Senator (2000-2003), and more recently Chairman of the Police and Public Service Commissions (2004-2013). Ewart Williams grew from a Fatima boy, bright and relaxed, to a Central Bank Governor, brilliant and inspiring—in a mere 40 years that was anything but ‘mere’. Leaving Fatima in 1962 with top grades, he ambled out to UWI, St Augustine, for his Bachelor’s and Master’s in Economics, before his first visit to the T&T Central Bank for a stay of 18 months. 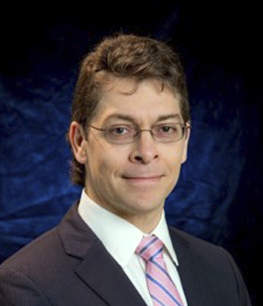 Thereafter, from various key IMF desks, he ‘globe-trotted’ for 31 years, as: Resident Rep for Jamaica; Assistant to the Director, African Department; Division Chief for Central America; Assistant Director for Mexico, Dominican Republic, Haiti; retiring as Deputy Director, Western Hemisphere. He returned to Trinidad to become Central Bank Governor, serving for two terms (2002-2012) during which he was the superbly steady hand on the financial rudder of the ship of State. Today, he is an in-demand international Consultant; a highly honoured personage at UWI (from Student of the Year—1967, to representative footballer/cricketer, Guild Vice-President, Distinguished Fellow—Economics, Chairman of St Augustine Campus Council); and a proud product of the College that knew he was always meant to be a Governor. Some say he could sprint from Arima to Mucurapo… which in a nutshell exemplifies what was natural to Carlyle Bernard—striving for excellence in accomplishing the unexpected. At Fatima, Carlyle acquitted himself so well academically and athletically in the classroom and on the field, that he won the Trophy for Best All- Round Student-Athlete in 1979. 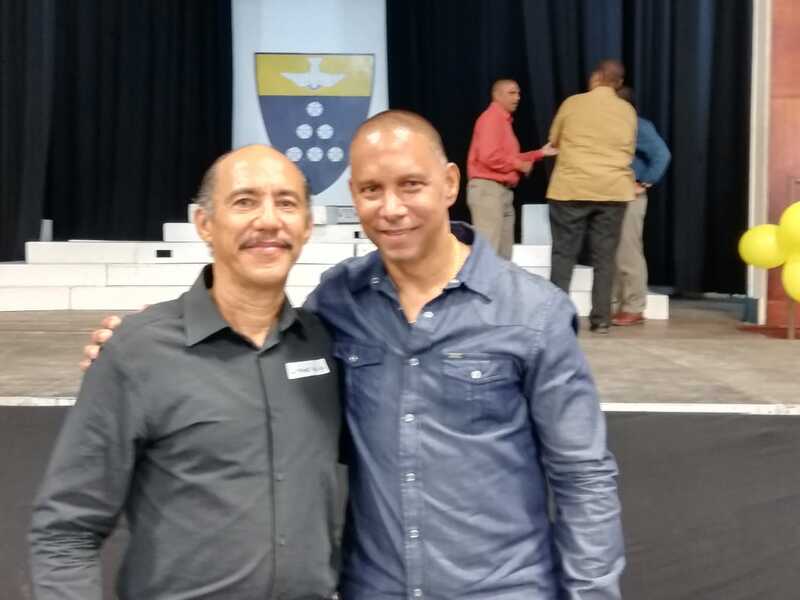 Having landed in the Top 10 of the 1980 GCE results, setting a Regional U-17 400m record, and picking up Gold, Silver and Bronze medals in the 400m, 800m, and 4x400m relay at the 1979/1980 National Secondary Champs; 1980/1981 Junior CARIFTA Games; and 1980 Junior CAC Games…he earned a track scholarship to study Civil Engineering at the Georgia Institute of Technology. Then came more medals and awards: Gold at the 1983 junior CARIFTA (U-20 400m and 4x400m relay); 4th place at the 1983 senior Pan American Games (4x400m relay); NCAA Div. 1 All-American (4x400m relay); and Silver in the 1986 Senior CAC Games (4x400m relay). With the pedigree of his father, the late Police Commissioner Jules Bernard, a Fatima Alumnus himself, Carlyle continues on track, in his professional life as a Consulting Advisor. Ato Jabari Boldon represented Trinidad and Tobago at four Olympic Games and has the distinction of being the athlete with the biggest medal haul for this country. His four medals have come in arguably the most difficult events, the sprints. Ato also has the greatest medal count in IAAF World Championships Senior and Junior. He has won six including three Gold, a Silver and two Bronze medals. Ato has also won a Commonwealth Gold medal for T&T in Malaysia in 1998. 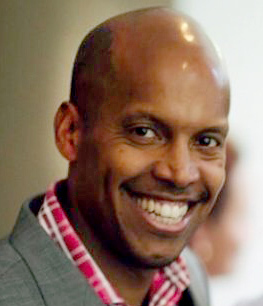 Boldon is the first athlete to win the Sprint Double at the IAAF World Junior Championships, and won the Sprint Double at the CAC Junior Championships in 1992. Ato has won the National Sportsman of the Year Award a record six times. His nearest rival is another Fatima boy, Brian Lara, with five titles. 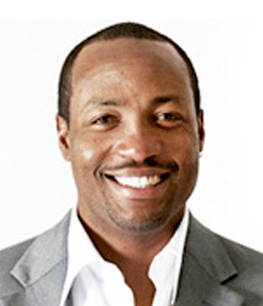 Boldon is a National Hall of Fame inductee and was also inducted into the UCLA Hall of Fame. 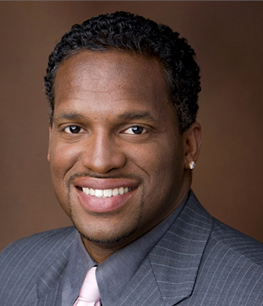 Ato Boldon now serves as a Track & Field Correspondent for several major networks, including NBC. He is the the holder of two National Awards—the Hummingbird Medal (Gold), awarded in 1993 and the Chaconia Medal (Gold) in 1997. His nickname “Knowledge” was well-earned as even today, years after his passing, he is regarded as the best reader of the game of Cricket this country has known. Michael ‘Joey’ Carew is legend. He played 19 Test matches for the West Indies, with a Test best of 109. 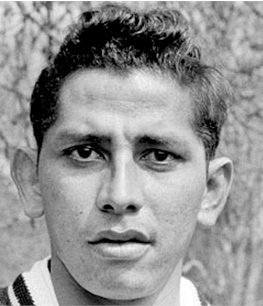 At First-Class level Joey played 129 matches, scored 13 centuries and proved an astute Captain, becoming the first man to lead T&T to back-to-back Regional four-day titles in 1970 and 71. So popular a figure was Carew that he was elected to serve on the management of the Queen’s Park Cricket Club, by the widest margins ever and for longer than most people. 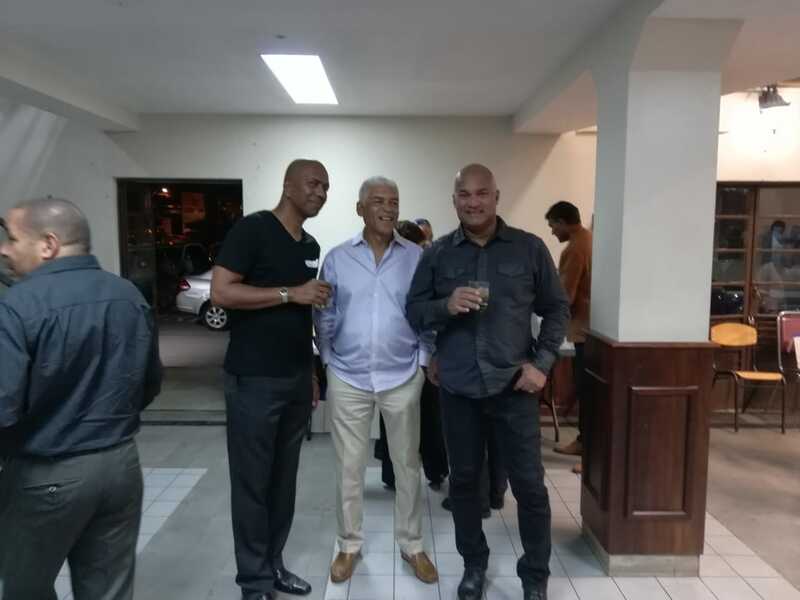 Carew also served as a West Indies selector for 20 years, and was honoured by both the WICBC and TTCB for his unswerving loyalty and his efforts to develop the game in the Region. In 1972, Carew has also received The Humming Bird Medal (Gold). Alvin Corneal distinguished himself in two sports, but excelled in several others. Few may know Corneal played table-tennis and field hockey at a high level, but so dominant he was at football and cricket that the other disciplines pale in comparison. By his own admission, he loved football more than any other and this maybe explains the heights to which he rose. He debuted for Maple at 17 and shortly after was given a National call-up. Later, he was named in a Caribbean team to tour the UK and is memorable for netting six goals. In 1967, he was part of the Trinidad and Tobago team which won Bronze at the Pan Am Games. Corneal also played National Football for St Vincent, Guyana and Barbados. As a coach, Alvin Corneal’s record is envied. He coached T&T in 28 matches, won 22 and steered the National Team to the Nation’s Cup title in 1982. Corneal was first appointed to FIFA’s technical study group in 1995 for the Youth World Cup and has remained on FIFA’s technical teams for some of the world’s major competitions—the Youth World Cups, the Olympics, Confederations’ Cup and the Senior World Cup. Alvin is a National Award holder and was named in 2012 as one of our country’s 50 Greatest Legends in Sport. Everald ‘Gally’ Cummings distinguished himself as a football superstar when a teenager, earning national selection at age 15—a feat matched later by Dwight Yorke under Gally’s tutelage. Cummings accepted a place at Fatima College in 1965 and promptly navigated the College to its first National InterCol Title since inception of the Colleges league in 1951. In 1973, Gally was named Trinidad and Tobago’s Footballer of The Year, a feat he repeated the following season. 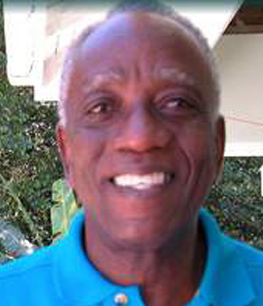 In 1974, he became the first footballer to be named T&T’s Sportsman of the Year—that year Cummings received the first of two National Awards: the Hummingbird Medal. His second National honour was the Chaconia Medal, awarded in 1989 after Gally missed out by a single point from World Cup finals qualification (This was as a coach of the Soca Warriors). Earlier in 1973, as a player, Gally suffered the same pain, when T&T scored five times but lost 2-1 to Haiti in a game which took Haiti to the World Cup finals in Germany. 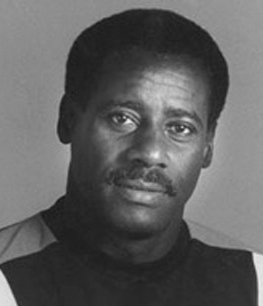 In 1989 Gally was also inducted into the Sports Hall of Fame, and earned him the distinction of being named T&T’s Individual of the Year in 1990. 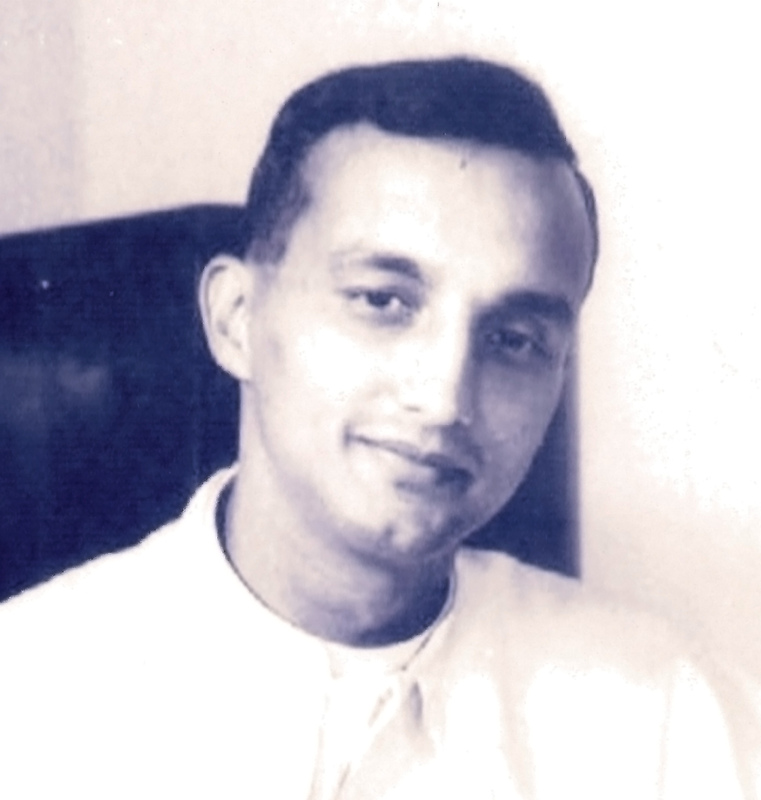 The power of lifting one’s index finger and controlling a world was carried well by Ralph Godfrey Gosein, thanks to the hand he received at Fatima in the Forties. From Mucurapo Boys R.C. and a short stopover at the reputable Burke’s High School, Ralph arrived at Fatima in 1945 as one of the College’s first students. Following College, he taught briefly before joining the Government Service—moving from Control Board to Customs & Excise. The dignity, wisdom and sense of fair-play he acquired at Fatima allowed him to don the coat of a Cricket umpire comfortably and courageously. He umpired countless local battles, 50 Shell Shield Regional Matches and 25 Tests, chalking up the record of officiating in five consecutive Tests (West Indies-India, 1971). He retired in 1980, but continued to serve Umpires’ organisations, receiving the Hummingbird Medal (Gold) in 1988. When the Maker closed play in 1999, Ralph at age 68 must have walked back to the pavilion in cricketing Heaven and hung up his white coat with all the pride of being a Test-class Fatima boy. Brian Charles Lara is the only player to score a century, double century, triple century, quadruple century and quintuple century in First-Class cricket. He has scored more Test runs than any other West Indain in history—11,953. He has scored 145 triple-figure scores in cricket: 34 Test hundreds, 19 ODI hundreds, 65 First-Class hundreds and 27 list “A” centuries. He is the first West Indian player to reach 10,000 runs in One Day Internationals. He has scored five Test centuries in a calendar year twice, in 2003 and 2005. He has broken the world record three times, twice at Test-level: the first, 375 not out in Antigua, breaking a 36-year-record; and the second, also in Antigua, to break Matthew Haydn’s record. He also scored 501 at Edgbaston, to break the world First-class record. He is the only batsman in history to score more than 350 twice in Test cricket: 375 and 400. He is the highest scorer of runs in a single over in Test cricket: 28 against South Africa. He holds an honorary doctorate from Sheffield University 2007, the Trinity Cross from Trinidad and Tobago 1994, the Order of Caricom 2008, and the Order of Australia 2009. Arguably the best Lawn Tennis player ever produced by Trinidad and Tobago, Neville Allan Price is still in the record books as the only player to win the Junior and Senior National Singles titles in the same year, and at the age of 17! Price was born on November 2, 1939, in Woodbrook. At the age of eight, Price picked up an interest in tennis, having lived on Long Circular Road opposite the St. James Tennis Club where he would practise the sport on evenings. At the tender age of nine, Price won his first competition—the St. James Tennis Club Cup. The late 1950’s ushered a wave of new and exciting young tennis aces to the forefront of the game in T&T, and none arrived with more flair and brilliance than Price. He later represented the country at the Junior Wimbledon Championships in England. He was a member of the first T&T team to win the Brandon Trophy in 1960, and later in 1962 won T&T’s only Gold medal in the Singles at the CAC games. Later, he teamed up with Peter Valdez to win a second Medal at those Games, when the pair took Bronze. At home, Allan Price was unstoppable—winning the prestigious Tranquility Singles Title 10 times. His consistent excellence earned him a staggering six nominations for Sportsman of the Year. 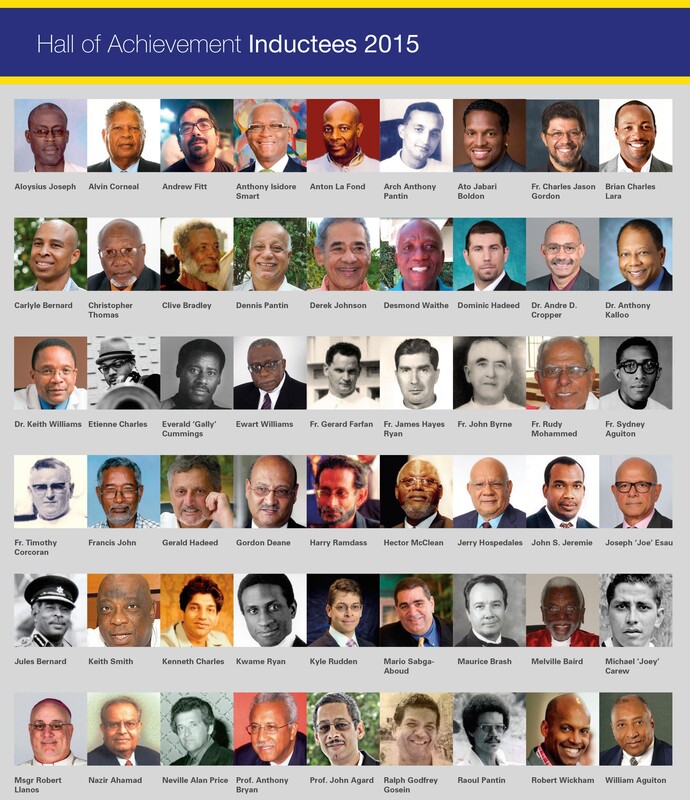 In 2012, as part of the country’s 50th Anniversary of Independence, Neville Allan Price was named as one of T&T’s 50 Greatest Legends in Sport. Maurice Brash was born in Woodbrook in 1948 and was Fatima’s premiere Foreign Language teacher. Mr. Brash was a part of Fatima for over 40 years, both as a student and teacher. He arrived at these hallowed halls in 1960, graduating in 1965. He taught at his alma mater for one year before entering the University of the West Indies to study Languages. Mr. 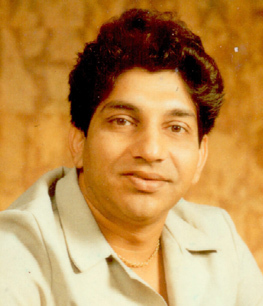 Brash belonged to the highly successful St. Dominic Savio Choir founded by Fr. Timothy Corcoran. On his return from a scholarship to France in 1975, he took charge of the Choir, and in quick time saw it emerge as the most outstanding Secondary School Choir. Mr. Brash spearheaded the establishment of a language lab in Fatima, and has contributed immensely to life at Fatima as teacher par excellence, singer, impersonator, organiser and Master of Ceremonies at many functions. Outside of Fatima, he is a well-known actor, singer and announcer, and an easily identifiable voice on many advertisements. In 1989, the French Government awarded him the “Palmes Academiques” for his contribution to the teaching of French language and culture. He retired from Fatima on June 6th 2007. 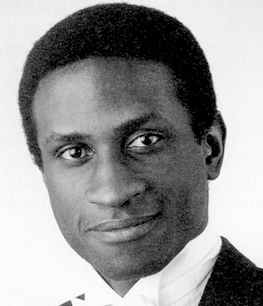 Francis Christopher John was born on 17th February 1944 and grew up in St. James. He attended Mucurapo Boys’ RC and then Fatima College. He taught at Fatima just after completing his Secondary education, was an Island Scholarship winner, and pursued his degree at the University of the West Indies, Mona Campus. 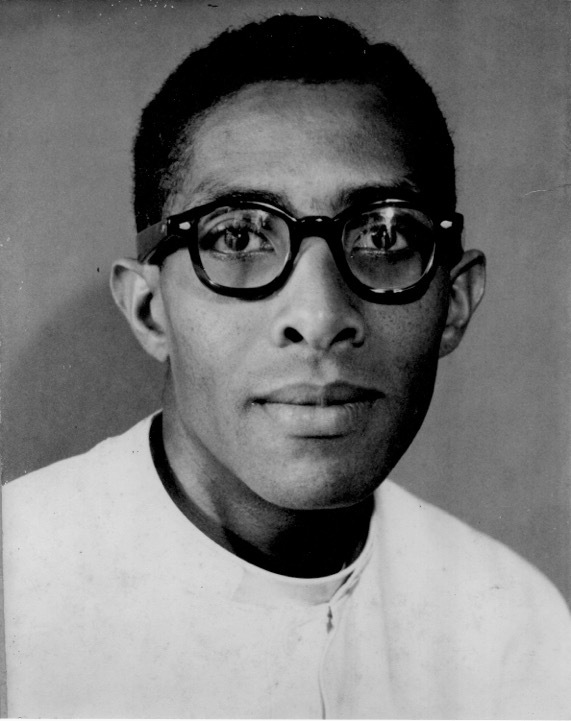 Upon his return to Trinidad in 1966, he taught at his alma mater until his untimely death in 2007. At Fatima, Francis John donned many hats: student, Dean, acting Vice-Principal, senior teacher, sports coordinator and parent. Mr. John led a full life, epitomising the well-rounded pupil that Fatima sought to produce. His sterling contribution as a teacher of Chemistry is a legacy at Fatima; a memory treasured by both past students and teachers. A man of few words and a grave countenance was Francis John. A stickler for regularity and punctuality, his clarity and preciseness were to be admired and emulated. He was a quiet and committed individual, a true Fatima patriot. Mr. Aloysius Bernard Joseph was born on 9th November 1954. He joined the Fatima staff in 1972, straight out of Form 6. He left in 1980 to pursue a degree at the University of the West Indies, graduating in 1983 with honours. He returned to teaching and served as the Head of the English Department from 1994 to 2002. Before entering UWI, he also served as Form 3 Dean and Dean of Form 5. Mr. Joseph produced the Fatima Annuals and he ran the Chess Club, mentoring many a great chess player. He was a strict disciplinarian with the typical Fatima touch of humour. Mr. Joseph’s command in the classroom and his dry sense of humour were a big part of his personality, but many students marvelled at his constant, towering presence and his ability to draw extraordinary phrases and quotes from his repository of literature. He died suddenly, after a brief illness, on 27th June 2012. Harry Ramdass was born in Port-of-Spain on the 11th March, 1950. 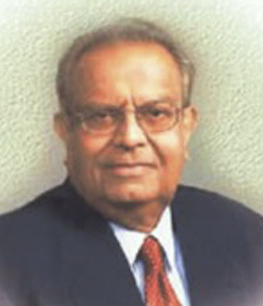 He attended and taught at Fatima College from 1965 to 2010. At various times during those years, he acted as the Head of the English Department, the Language Department and the Business Department. He was also the Class coordinator, a Class teacher and the Dean of Forms 1 and 2. He coached football and cricket for more than 30 years at all levels, the iconic Brian Lara being one of those to receive his guidance As Sports Master, he organised and coordinated Sports Days, all the sporting disciplines and extra-curricular activities. He was responsible for initiating the Form 1 Midday League in football and cricket in the inner compound. Harry Ramdass was one of the first Old Boys to become a teacher at Fatima. He would speak both of Fr. Ryan and Mr. Clive Pantin as his mentors. Harry Ramdass was known as a stickler for standards and principles, and his meticulous nature will always be remembered by anyone who came under his tutelage. He retired in March 2010.